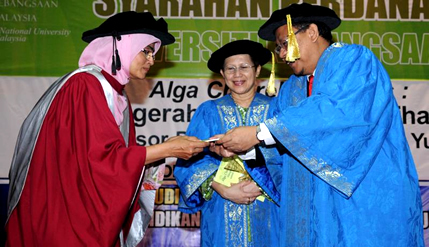 KUALA LUMPUR, 12 Oct 2012 – A Professor in the Bio Chemical Department of the Medical Faculty of The National University of Malaysia (UKM) has found a type of algae having the potential to attack and kill cancer cells. 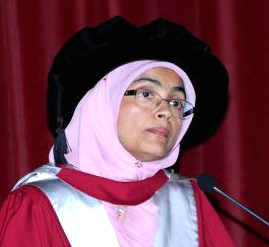 Professor Dr Yasmin Anum Mohd Yusof said Chlorella Vulguris (CV), a type of Algae was found to have the ability to reduce the proliferation of liver cancer cells and induce apoptosis of the cells. Giving her inaugural lecture here today, she said the keyword is apoptosis which really means cell death. Cancer cells are notorious at breeding at a very rapid rate and developing immunity against any substance that threatens them. They survive by killing healthy cells and making them cancerous. However, CV seems to reverse that effect. It causes the cancer cell to die by inducing cancer cells apoptosis and then recycled them into healthy cells. It thus has the potential to reverse cancer cells into healthy cells. The same concept can be seen in chemotherapy but minus the hair loss and other unwanted side effects. The findings of her research on algae done on animals also revealed other side benefits of algae that she said is worth exploring by world scientists. She said CV can also reduce inflammation on animals with liver cancer, improving healing time for scars, be an anti-aging agent and protecting DNA against free radicals formed due to diabetes. It protects the DNA from being damaged by increased free radicals as a result of diabetes. Professor Yasmin and her team also found a way to increase nutrients in the algae by controlling the level of carbon dioxide and the amount of sunlight given to the plant. They discovered that by increasing the level of carbon dioxide from 1% to 10 % and by increasing the amount of light from 12 hours to 24 hours, the level of nutrients in the CV increased tremendously. Prof Yasmin and her team grew their own algae by culturing them in a drum on top of the Faculty of Health Sciences Building in the heart of Kuala Lumpur. Following the findings, they are looking at the possibility of culturing the algae in bioreactors. The algae are grown in glass tubes filled with water. They found the method to be more efficient as the quality of water can be controlled. Because bioreactors enabled the mass production of algae, it also need large amounts of carbon dioxide, the green gas contributing to global warming. Prof Yasmin is a renowned expert on algae, frequently being invited to give talks on the subject at the international level. She has over 75 articles published in national journals, 34 of which are ISI indexed Journals. Present at her lecture were the Vice Chancellor, Prof Tan Sri Dato’ Wira Dr Sharifah Hapsah Syed Hasan Shahabudin, Dean of the Medical Faculty, students, her family members and friends.